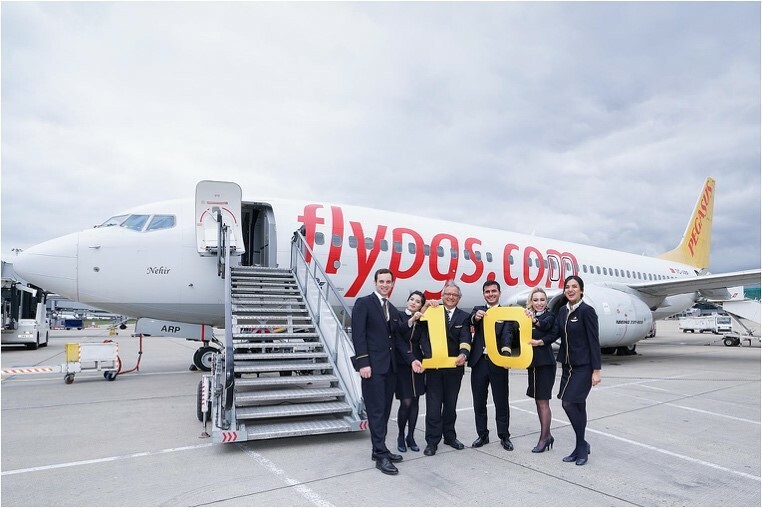 Leading LCC Pegasus Airlines is celebrating ten years of flying from London Stansted Airport, offering affordable direct and connecting flights from London to over 60 destinations across Turkey, Russia, the Caucasus, Central Asia and North Africa. On 25 March 2007, Pegasus launched flights to Istanbul from the third busiest airport in London, which serves over 24 million passengers a year. Pegasus is Turkey's leading low-cost airline and, despite the many developments that have negatively affected the aviation industry, has managed to increase its total turnover for 2016 by 6%. Additionally, Pegasus has grown its number of guests by 8.1%, achieving 24.14 million passengers in 2016. With a total network of over 103 destinations in 40 countries, Pegasus connects London Stansted to 66 destinations around the world. Its twice-a-day services to Istanbul and direct and connecting flights to destinations such as Izmir, Antalya and Bodrum in Turkey and Dubai, Beirut, Tbilisi, Tel Aviv are some of the most popular routes from London. The airline is expanding its Russian services this year with the introduction in April of a new thrice-weekly service to Grozny ahead of flights to Volgograd, Samara and Nizhny Novgorod in June.